Challenge your grey matter with this brand new collection from the Telegraph. 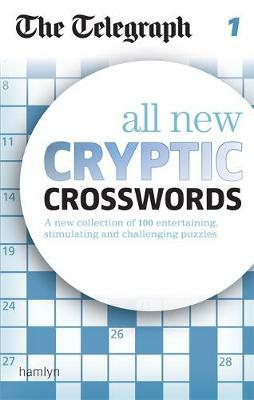 With 100 puzzles, it's the perfect compilation to get your brain into gear on your daily commute and to test your analytical processes with the ever-popular cryptic clues. The Daily Telegraph has been publishing cryptic crosswords for over 80 years, and they have continually puzzled, baffled and challenged avid crossword fans. This new selection allows you to do as many as you please, without having to wait for tomorrow's paper.